Games between Brazil and Argentina are always hard-fought affairs but the Selecao look in better shape ahead of Tuesday’s clash in Jeddah, Saudi Arabia. Tite’s team were more impressive at the World Cup and have retained the core of that talented squad, whereas La Albiceleste are heavily reliant on fresh faces. Judged on the expected starting line-ups, we’re firmly behind the Samba Stars at 31/50 for our first Brazil vs Argentina prediction. Brazil were favourites for outright glory at Russia 2018 after winning their group and then beating Mexico 2-0, only to crash out in the quarter-finals against Belgium. Since that disappointment, the Selecao have been clinical in three straight wins, seeing off USA, El Salvador and Saudi Arabia by an aggregate score of 9-0. For Friday’s 2-0 triumph in Riyadh, Neymar, Gabriel Jesus and Philippe Coutinho started up front, with Fred and Casemiro coming through from midfield. Tite can choose from two superb goalkeepers in Ederson or Alisson behind an athletic defence and this does seem a fine, all-round side, with the likes of Roberto Firmino, Lucas Moura and Richarlison on the bench. Looking at the Brazil vs Argentina odds, we like 3/2 for the favourites to oblige without conceding once more. Argentina failed to sparkle at the World Cup, losing 3-0 to Croatia during the group stage and then going out to France in the first knockout round, albeit after contributing to a seven-goal classic. Lionel Scaloni then replaced Jorge Sampaoli as interim manager, despite having little coaching experience. Thursday’s 4-0 triumph over Iraq followed a fair draw with Colombia and a 3-0 success against Guatemala, but La Albiceleste are lacking some big names at present. Lionel Messi, Sergio Aguero, Gonzalo Higuain, Angel Di Maria and Ever Banega are all absent and could be sorely missed now the opposition is much stiffer. Mauro Icardi and Paulo Dybala form an exciting partnership up front, but we’re not sure how much service they will get from a pretty average midfield. 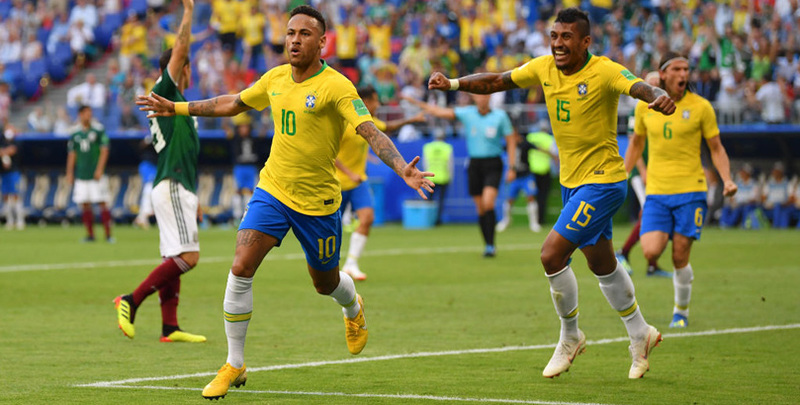 The defence is also short on star quality, so we’re finishing off our Brazil vs Argentina betting tips by taking 27/4 for the Selecao to prevail 2-0.
International friendlies odds! All football betting!